Certifications & Manufacturers | Brandon, FL | Dynamic Roofing Concepts Inc. Here at Dynamic Roofing Concepts, we are committed to giving our customers the best. As one of the premier Tampa roofing company, we recognize the importance of using only the highest quality products on every single job we do. In order to ensure that our work stands the test of time and our customers can trust us, we rely on the best products on the market. Your roof is a very important part of your home or business, and simple repairs can often prevent serious problems in the future. When you need a roofing contractor in Tampa or the surrounding cities that you can trust to protect your roof when it needs it the most, come to us first. We are proud of our reputation, and always want our work to represent what we’ve promised you. We use products from the following manufacturers, installed by professionals to ensure that your warranty is intact and your roof lasts. If you have a hard time deciding between metal, shingles or tile roofing in Tampa FL or any of the neighboring cities, our experts are here to help. 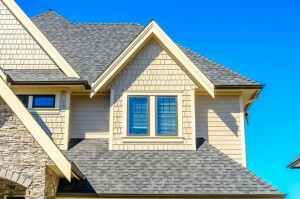 We have over 40 years of experience in the roofing industry, and we know what will work best for your home or business. Allow us to help you make the right choices for your budget and your building. Don’t let your roof suffer when affordable, professional help is just a phone call away. Allow us to help you maintain your roof, and repair or replace it when it is time. Don’t take chances with your most valuable investments. Call us today at 813-257-9355 for a free estimate, and to learn more about any special discounts we offer. We are confident we will become your Tampa roofer of choice after we finish the job.